All the goodness of cookie dough without the risk of getting sick. Everyone has experienced that moment of giving up on actually baking the cookies and deciding that eating the cookie dough instead would be just as delicious and be 10 times quicker and easier. We all remember the comments made about how we could get sick from the raw eggs, but every time, we decide that is one small risk we’re willing to take. Cookie dough is just too good not to eat, am I right? Well, The Cookie Jar DC allows you to eat cookie dough without having to take that risk. The Cookie Jar DC is a company based in Washington, D.C., founded by Lindsay Larner in February 2016. “The goal of The Cookie Jar DC is to make it easy, fun and guilt-free for everyone to eat cookie dough,” according to the company’s website. 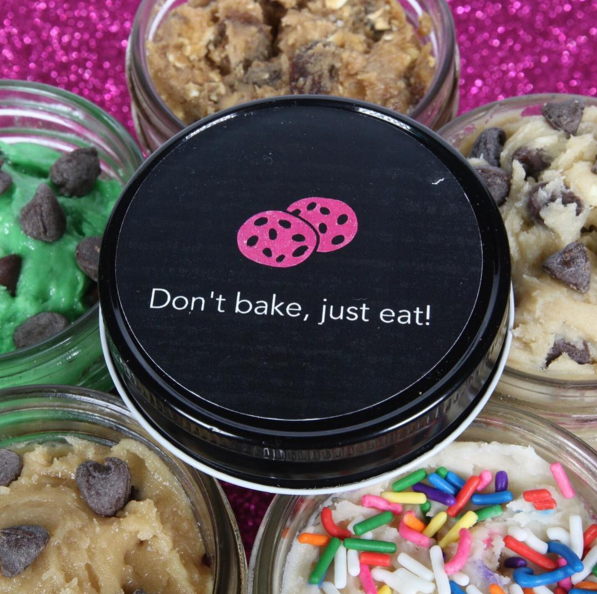 “It’s funny that my business is edible cookie dough, because I find cooking to be boring,” said Larner. That’s one of the upsides to this product—no cooking is involved. The cookie dough made by the company doesn’t contain egg and is not meant to be baked. Several flavors are available, including classic chocolate chip, sugar cookie with sprinkles, mint chocolate chip, peanut butter chocolate chip and oatmeal raisin. Each flavor comes in a either an 8-ounce jar for $8 or a 4-ounce jar $4. 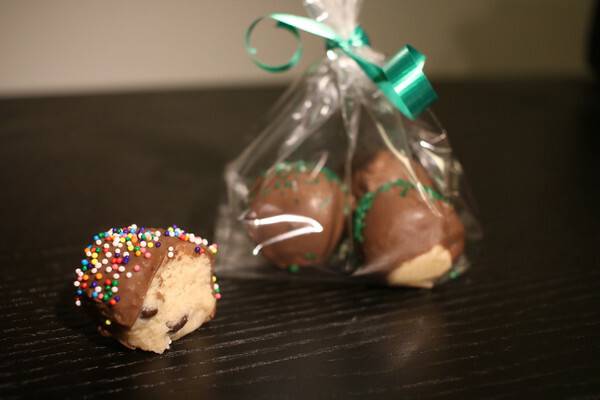 The business also offers chocolate-covered cookie dough balls, priced 3 for $4, similar to the cookie dough bites you can make with this recipe. 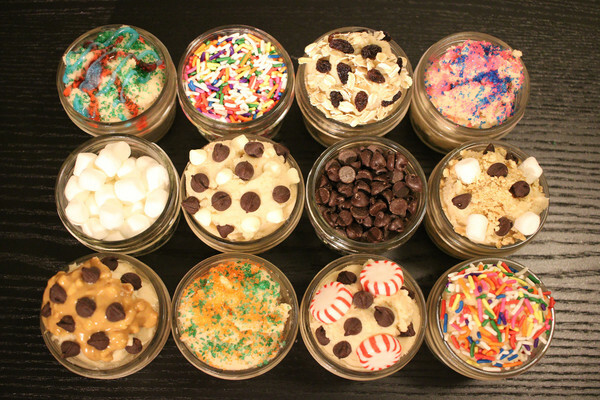 You can also buy jars in bulk from The Cookie Jar DC. A pack of 4 jars costs $19, a pack of a dozen jars costs $54, and the largest back of 24 jars costs $102. Larner said she started this business because she wanted to be able to run her own project and do something creative. “I began playing around in the kitchen and thinking up creative recipes that people wanted but couldn’t find in stores,” said Larner. Once she perfected the recipes, she looked for a commercial kitchen to make her product, and then her business was underway. The Spoon University UMD chapter tried four of the flavors. 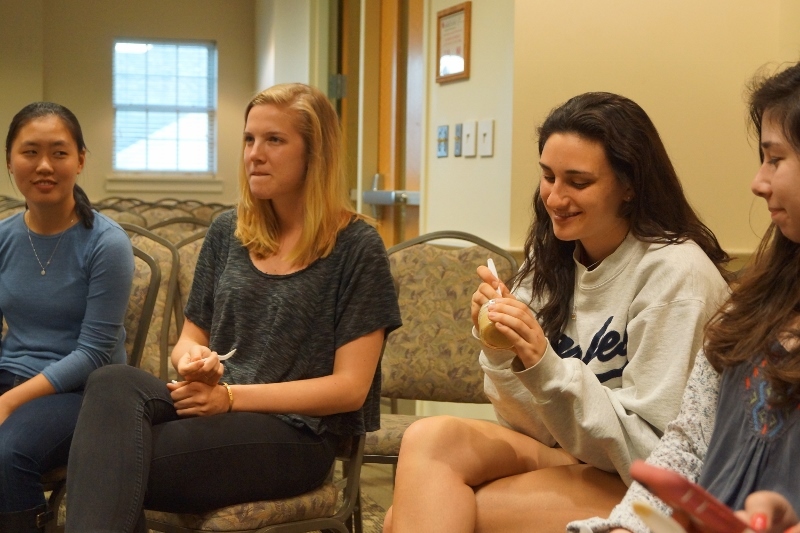 The general consensus of the almost 20-person group was that the sugar cookie flavor tasted the most like its typical baked form and was unquestionably the first empty jar of the night. If the quickly emptied jars didn’t show just how much the group liked the edible cookie dough, their comments surely did. Spoon members dropped phrases like “this is so sweet” and “I could eat them all,” and questions asking for more samples filled the room. Many compared the treat to other addicting snacks. 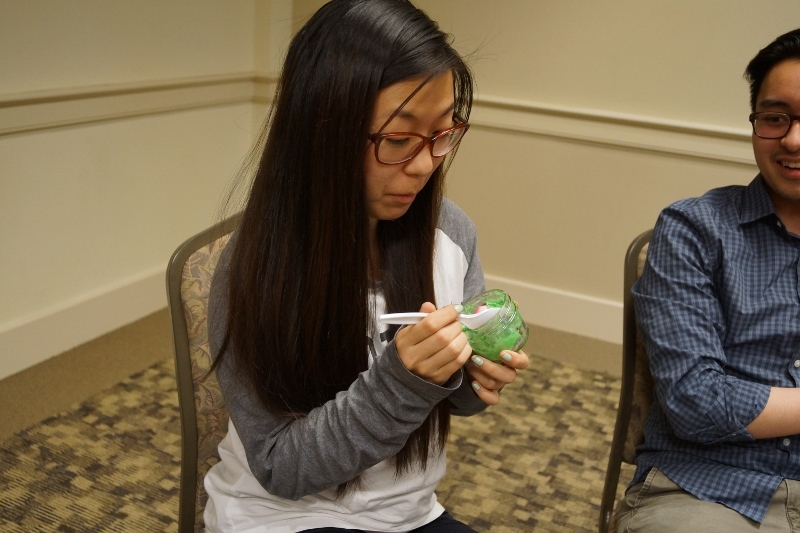 “It almost tastes more like frosting than cookie dough,” said Spoon member Alice Zhou. People also commonly compared the cookie dough’s texture to peanut butter. The group tried the flavors at room temperature, but some suggested it would taste even better as a refrigerated treat. “I feel like it would taste so good cold,” said the chapter’s community manager Tiffany Khong. The company offers three different means of getting this delicious dough; they deliver, they ship or you can pick it up yourself from their locations in Union Kitchen: Ivy City and 14W Apartments or any of their pop up shops in D.C. and Maryland. 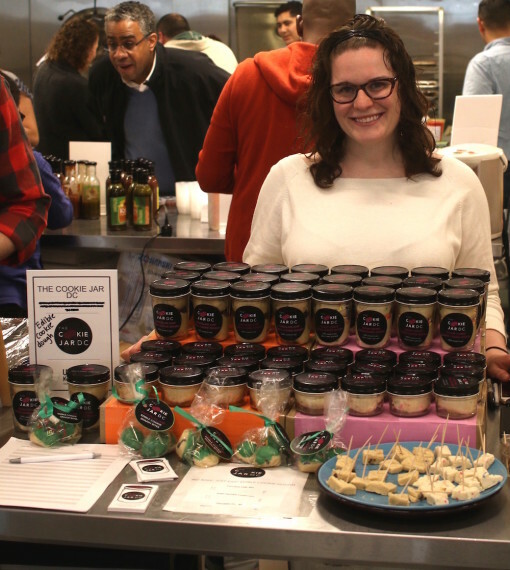 “I also do catering and favors with custom branding for events, from club lunches to big/little week flavors to birthday parties to wedding showers and more,” said Larner. The benefit of delivery only comes to those who live in the D.C. area through the help of their four delivery partners: GrubHub, Favor, Caviar or Doordash. They deliver Mondays, Thursdays and Sundays from 6:30 p.m. to 9 p.m.
One of The Cookie Jar DC’s biggest competitors will be the Cookie Dough Café, a company that offers safe raw cookie dough in similar flavors and also has stores based in D.C. You can also attempt to make your own edible cookie dough using this recipe.